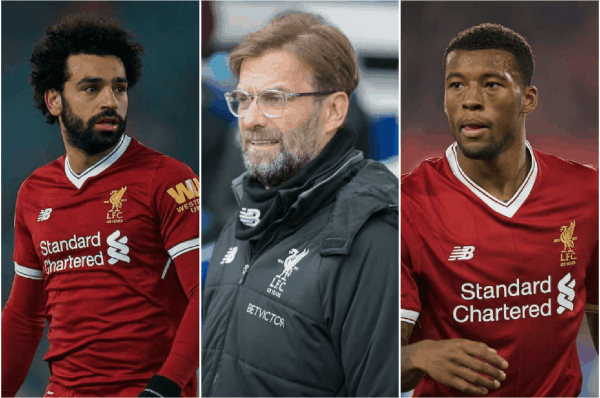 There’s plenty to talk about as Liverpool prepare for a mammoth Champions League tie—here’s the latest news regarding Liverpool FC on Monday. Another week, another award for Mohamed Salah. 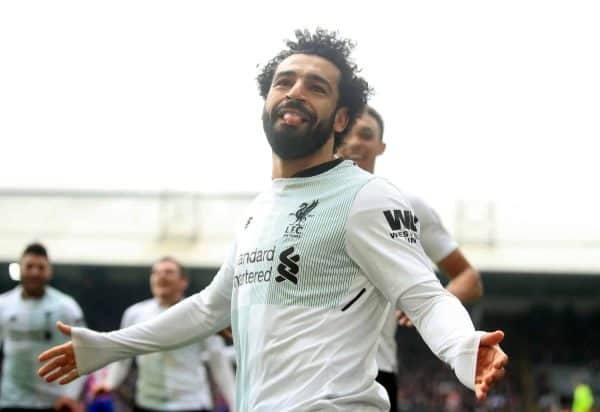 The Egyptian forward was in tremendous form for Liverpool during the month of March and he’s been recognised now with the Premier League Player of the Month award. It’s the fourth time the Reds No. 11 has claimed the top spot this season in what has been a stunning debut Anfield campaign. Salah scored six goals in four games all told last month, including a four-goal haul against Watford. He beat Dele Alli, Heung-Min Son and Jan Vertonghen from Tottenham, as well as Manchester City’s Leroy Sane and David Silva, with a huge 80 per cent of the vote. Gini Wijnaldum says he’s ready to fill in as the Reds’ holding midfielder against Man City—and that Jurgen Klopp told him in the summer he’d play the role this season. Reuters report the Dutchman relaying after the draw with Everton how a pre-season trial run opened the door for the emergency switch, with Emre Can injured and Jordan Henderson suspended for the second leg. 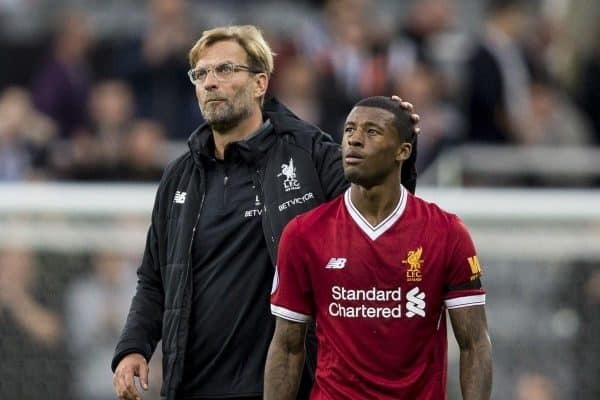 “The manager was trying it in pre-season and he said it might happen in the season,” Wijnaldum said. On whether the Reds would look to defend their lead or add to it, the former Newcastle man was clear. 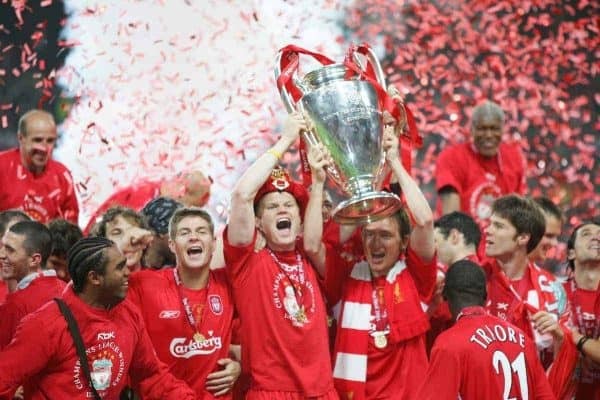 Former Liverpool left-back John Arne Riise believes this Reds team can do as his own did over a decade ago, and become champions of Europe. 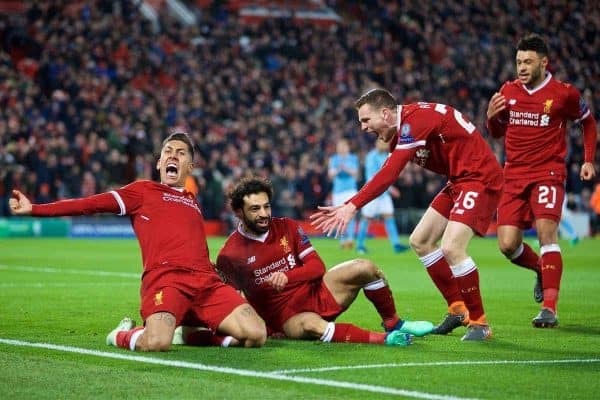 Should the Reds progress from their second leg against Man City on Tuesday, they could face the likes of reigning champions Real Madrid or Spanish champions-elect Barcelona in the last four. But Riise thinks Klopp’s team have shown their quality and ability to compete at the highest level. “This year, although it’s going to be very tight, they have a good chance of going all the way,” he told Sky Sports. “There’s some great teams left but if they play like they did at Anfield on Wednesday there’s not many teams who could stop them. “All the other teams left will have seen that performance, it was amazing. The high pressure, the intensity in the game was unbelievable, they almost did it for 90 minutes. “A club like Liverpool should always be in the quarter-finals, semi-finals of the Champions League and competing with the best clubs in the world. “I think the fans have been waiting for it, the players the same, it’s the best competition for a player to be involved in and you want to try to give something back to the fans when you get there. Perhaps it was published as a late April Fool’s joke, but we’re not seeing the funny side. 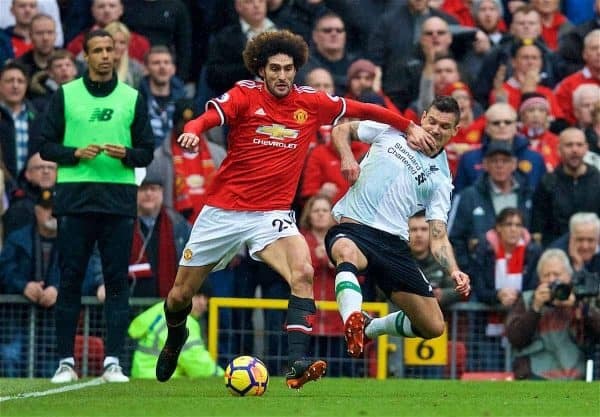 French outlet L’Equipe report Liverpool are to offer none other than Manchester United midfielder Marouane Fellaini a three-year deal with his contract running out this summer. There’s firstly the fact he’s a current United, former Everton player who has made a habit out of attempting to knock Liverpool players’ front teeth out with his elbows down the years. Then the small matter that he’ll be fast approaching 31 years of age in the summer—and that PSG have already been linked with offering him a deal worth almost £120,000 a week. But most importantly, we couldn’t think of a United midfielder less-suited to Klopp’s high-intensity, quick transition, accurate passing and speed over the ground than the Belgian wrecking ball. Perhaps he’s being brought in as Dom Solanke’s back-up as a 90th-minute target man, as his current manager tends to utilise him. Unsurprisingly, the rumour was swiftly shot down by the Echo.